March 20, 2019 is the date reportedly set by The Joint Charity Commissioner to hear the Section 41E application filed by businessman Aspi Deboo and activist Zoru Bhatena "against PGH (Parsee General Hospital) seeking protection of the Trust property from the agreement with Medanta." According to Deboo, an "advocate appeared on behalf of the PGH committee members, and sought time to file a Vakalatnama. Nobody appeared on behalf of the PGH/BPP (Bombay Paris Punchayet) Trustees." An application filed by Khushru and Meher Zaiwalla opposing the PGH proposal is due for a hearing on February 20. 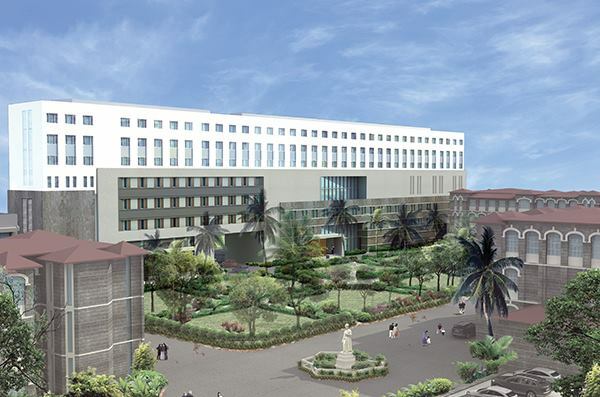 Jal and Pervin Shroff of Hong Kong had pledged a munificent donation of around 1.60 crore rupees to construct a new cosmopolitan, state of the art hospital on the grounds of the B. D. Petit Parsee General Hospital (PGH) which was/is to be managed by the Gurgaon based Medanta Group. Both the Shroffs and Medanta have given PGH till March 31 this year to sort out the community conflicts. If the Deboo/Bhathena application is to be heard on March 20, that deadline is sure to pass without the matter being resolved.